Before we begin, it is important to understand that there are major technological variations between Netflix for web (i.e. www.netflix.com) and the Netflix App (i.e. Netflix for Android or iPhone) - although the content served is identical. 1. Sending DNS queries to the device's defined DNS, overriding DNS that are assigned by the VPN. 2. Sending DNS queries to hard-coded Google DNS (8.8.8.8 and 8.8.4.4). 3. 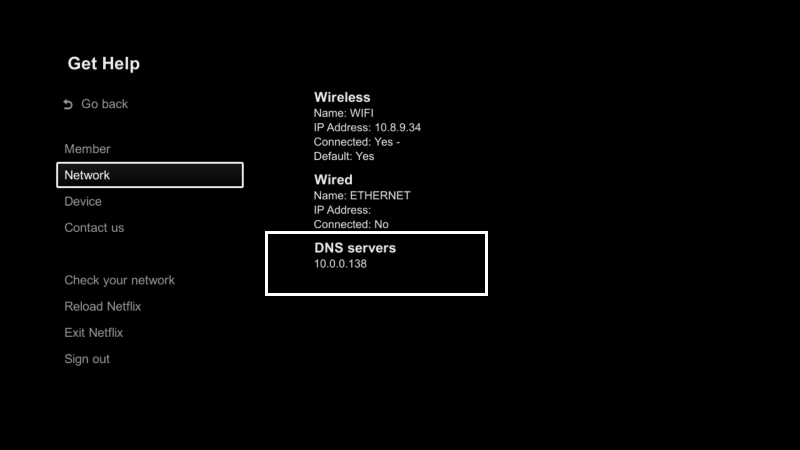 Using hard-coded IP addresses, overriding the DNS settings altogether. The good news is that Keenow Unblocker can help you to override all those checks, but only in case that you follow the instructions below. Start the Netflix app, head to Settings and then Network. Look for the DNS section - If 8.8.8.8 and 8.8.4.4 are NOT listed (similar to the image below), then it is most likely* that only Smart DNS would be required to unblock the Netflix app. *Please note that you might still encounter proxy errors if Netflix start using hard-coded IP addresses, although that can be easily overridden using the VPN feature. Start the Netflix app, head to Settings and then Network. Look for the DNS section - If 8.8.8.8 and/or 8.8.4.4 are listed, together with another DNS address (usually a local IP address, similar to the image below), then you would need to unblock the Netflix app by setting both Smart DNS and a VPN. 1. Please note that setting Smart DNS and VPN on your router, or alternatively using the Keenow's Built-in Virtual Router feature (Windows 7+) can be used to unblock the Netflix app in all cases. 2. Both VPN and Smart DNS Setup Guides are available on our site. 3. 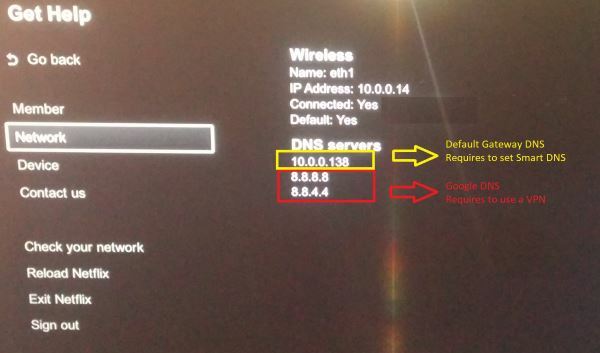 IMPORTANT - Please remember to reload the Netflix app after any change in DNS settings or IP address. 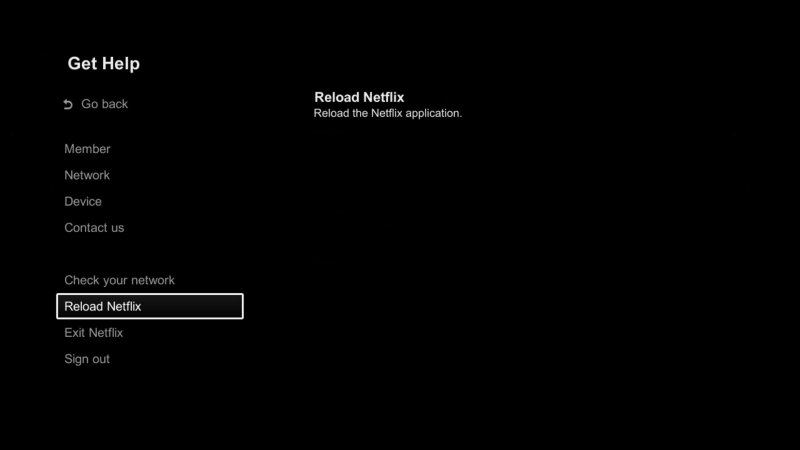 Simply click on Settings and Reload Netflix. 4. 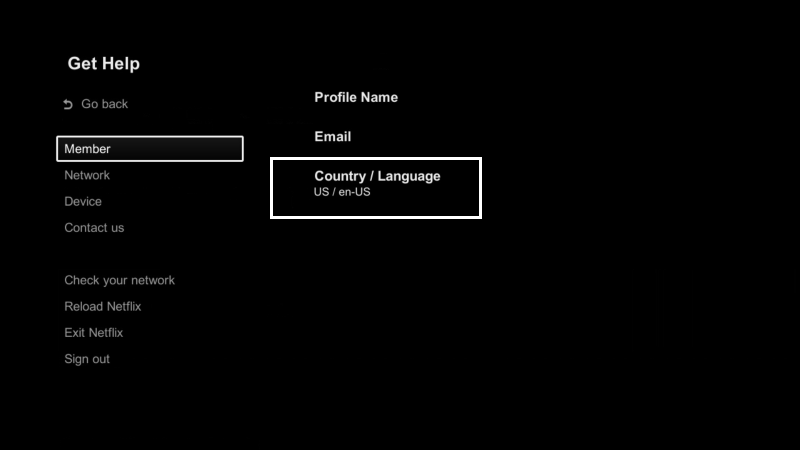 After loading the Netflix app again, please head to Settings and Member - you should see the unblocked country under the Country / Language section. Need assistance? Feel free to contact the support team.